Item #1: Postcrissing Postcard from Russia! It must take a lot longer to send and receive mail from Russia. I think the longest time for anybody receiving a postcard from me on Postcrossing was about 32 days, and it was a card I sent to Russia when I first joined the site. Either way, this card is amazing! The sender wrote to me that she tried to find a card that was both nerdy and somehow connected to the UK. 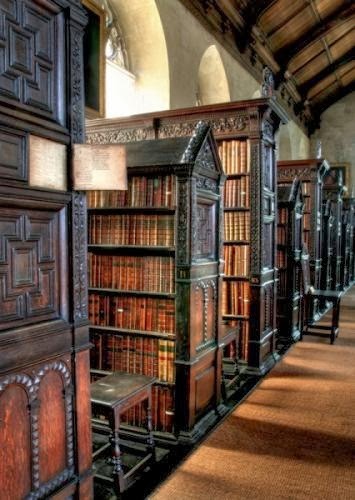 The card's picture is from St. John's College Old Library, West Side. I'm assuming that's the West Side of London or somewhere in the UK. After all, I always hear about the "West End", which is London's version of Broadway. Anyway, you want to guess what my first thought was when I looked at the photo on this postcard? Well, maybe second thought, since my very first thought was undoubtedly, "Ooh, pretty!" I'm pretty sure the second thing that I would have thought about this card was that it looks just like the library at Hogwarts! 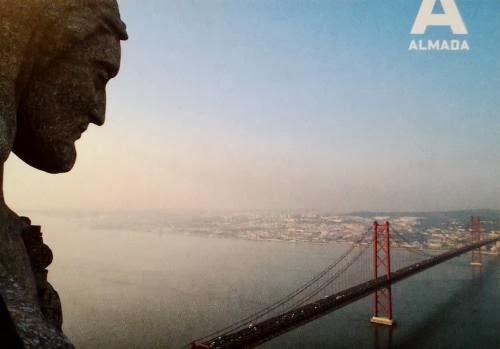 Item #2: Postcrossing Postcard from Portugal. Truth be told I couldn't tell just by looking at the picture where this card was from. With the red bridge, I thought it might be from San Francisco or somewhere like that. Americans might laugh at me, but the only real windows where we get to see and learn about American landmarks are through movies, and there aren't as many movies set in San Francisco as there are set in New York City. I meant to send out a package today, but I didn't get the chance. Truth be told I was a little distracted with the visit of the guy I'm currently seeing :) But it's all ready to go and I hope to take it to the post office tomorrow before I go to school. Until then, I'll always keep you posted.